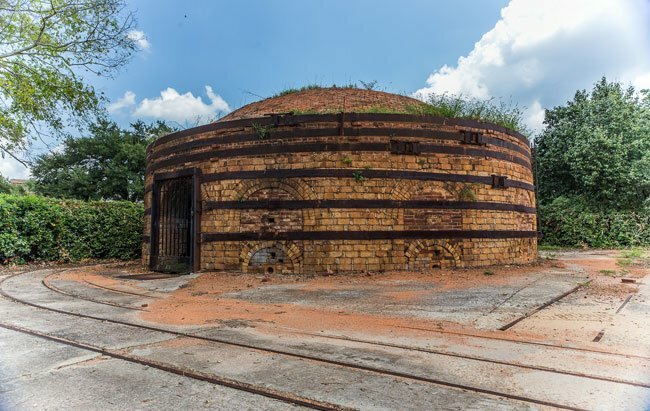 The brick structure seen below – known as a beehive kiln – is part of the larger Guignard Brick Works in Cayce. Located just over the Blossom Street Bridge, the former brick factory complex includes four kilns, an office, and a rail used to transport the bricks from the kilns. 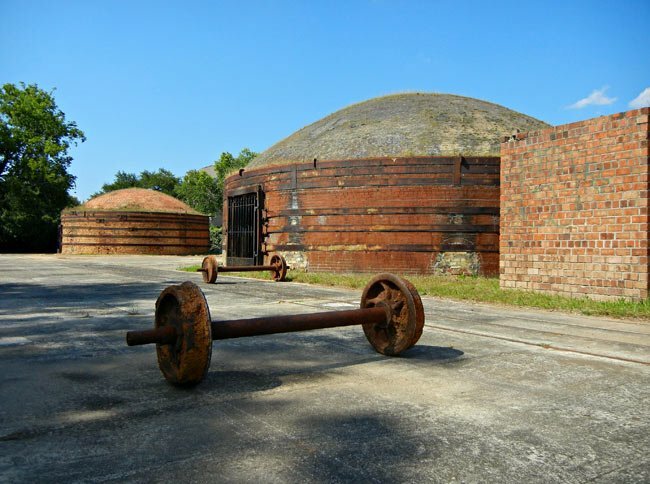 Though the Guignard family began making bricks at this site as early as 1801, taking advantage of the clay found in the Congaree River, these structures date only to the twentieth century. Three of the kilns were built around 1920, and a fourth was rebuilt in 1932 after burning. The former brick works occupy land that was established as Still Hopes Plantation by John Gabriel Guignard in the late eighteenth or early nineteenth century. The Guignards began producing bricks on their property for their own use until around 1850, when Guignard’s son, James Sanders Guignard, began selling them to outside consumers. His son, James Sanders Guignard, II, operated the family business following his father’s death in 1856 until the Civil War. Brick production then came to a halt until 1880, when Gabriel Alexander Guignard, grandson of the first James Sanders Guignard, revived the business after being unable to resurrect the plantation at Still Hopes. By 1891 the brick works was producing around two million bricks a year. By 1900 the company had become so successful that expansions were in order; the modern infrastructure seen here was soon built, including the railroad track. The textile industry also flourished along the local rivers during this time, and Guignard bricks were used in the construction of both the Olympia and Granby Mills, as well as the Richland Cotton Mill and the Capitol City Mill. The interior of the South Carolina State House was also constructed with Guignard bricks. The Guignard Brick Company remained in the Guignard family until the death of Susan Guignard in 1955. At that time it was operated by L.V. 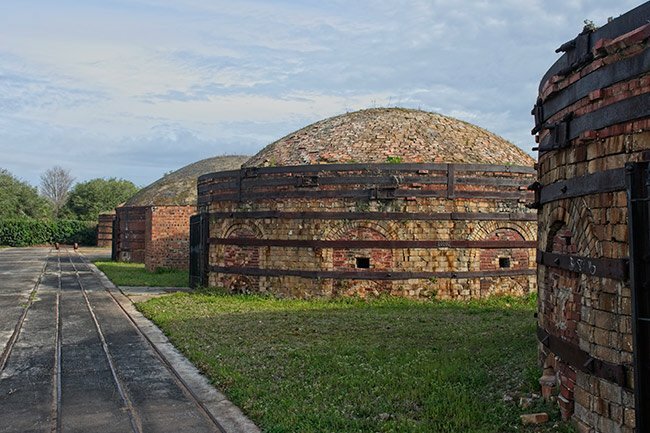 Bruno, and tunnel kilns were constructed on the site. Once the tunnel kilns were added, the beehive kilns became obsolete. Guignard Brick Company continued production here until 1974 when it relocated to Lexington. The company was then purchased by Boral Bricks in 1976. Today the historic Guignard Brick Works property is still owned by Guignard descendants. It sits adjacent to Granby Crossing Apartments and the Three Rivers Greenway. 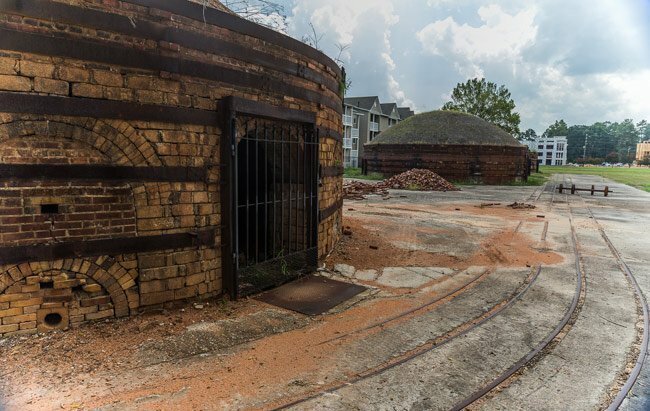 The Guignard Brick Works is significant as an example of an early-twentieth century industrial complex, one which produced bricks for many buildings constructed in Columbia and throughout South Carolina from ca. 1900 through the mid-twentieth century, and for its association with the Guignard family, prominent in local business and civic affairs throughout the nineteenth and twentieth centuries. The complex is also significant as an excellent surviving example of a beehive or circular downdraft brick kiln, an important method of construction in brickmaking facilities from the nineteenth century well into the twentieth century. The Guignard Brick Works complex includes four brick beehive kilns, a historic brick office, and remnants of other industrial features of the brick works. Three of the four kilns were built ca. 1920. The fourth was built ca. 1932 to replace one that burned in 1932. A one-story hip roof office building, ca. 1900, stands west of the kilns. Though the extant complex dates from the first half of the twentieth century, the Guignard family began producing bricks on or near this site as early as 1801, utilizing the rich clay deposits on the banks of the Congaree River. 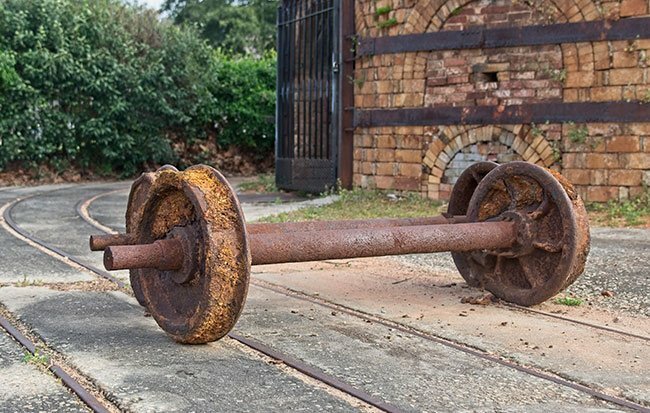 The Guignard Brick Works flourished and expanded its operations with the building boom in Columbia which began in the late 1890s and was in full swing by 1900. The evolution of the brick works over more than one hundred years of operation at this site, in a process in which the fuels and methods for firing brick changed from wood to coal to gas, may be further illustrated by examination and interpretation of the standing structures and extant above ground features. My mother Maude Stork Shull told me many times that the beehive kilns were lined with brick from the Landrum-Stork brickyard that was located in the Forest Acres area of Columbia. Follow the map above and you can at least see it from the road. It is fairly accessible. How do you access the site? Is it open to the public?